A FEAST OF SINGING FROM THE THREE TENORS. The opening concert in the Yass Music Club’s 2016 subscription season was an outstanding success with a brilliant presentation of The Three Tenors Show in the Yass Soldiers Memorial Hall on Saturday, 13th February. The tenors, Angelo Falcone, Lawrence Allen and Marco Cinque, after the example and inspiration of the original Three Tenors, as Luciano Pavarotti, Placido Domingo and Jose Carreras and well accompanied by Gianni Turcio as their Musical Director gave a rollicking performance characterised by their superb voices, their showmanship and their immediate and continuing connection with the large and very appreciative audience which was in attendance. Their wide musical experience was obvious and it was no wonder that they were able to perform as they did. Each of them has had an outstanding career in musical theatre, musical comedy, cabaret and opera and all had performed with distinction in many cities around the world. They also appear regularly on TV and in most other forms of the media. The concert began with an introduction from the Music Club’s President, Peter Crisp, who welcomed them to Yass and expressed our delight in having them with us and then it was over to the Tenors. Gianni Turcio (Music Director), Angelo Falcone – Pavarotti, Lawrence Allen – Domingo, Marco Cinque – Carreras and the Music Club’s President, Peter Crisp. Their extensive program began with a spirited rendition of ‘Granada’ followed by the haunting Franz Lehar song ‘You are my heart’s delight’ and then the magnificent ‘E lucevan le stelle’ (the stars are brightly shining) from “Tosca” and Angelo, Lawrence and Marco, all now in full voice, and if there had been rafters in the Hall, they would have been raised. Their extensive repertoire of almost thirty songs continued with the stirring ‘Mattinata’ followed by selections from “My Fair Lady” and “West Side Story’ and then it was on to the magnificent ‘O sole mio’, which is almost a theme song for The Three Tenors. Their exuberance grew as they rendered several more Italian songs for us and prior to interval there came three favourites in the wistful ‘The impossible dream’ from “Man of La Mancha” and then they really hit their straps with ‘La Donna e’ mobile’ (the woman is fickle!) as a special Valentine’s Day treat, with the rousing ‘Funiculi funicula’ leading into interval. A delicious Supper was served by the ladies of the Yass Hospital and they did wonders in providing such a tasty treat for so many patrons. After interval Russell Hill of the Rotary Club of Yass presented our Dr RAG Holmes Scholars with their Certificates and cheques and there will later be a separate account of the Scholars elsewhere in The Tribune. Then The Tenors were soon back in action again with the delightful ‘Por mon ame’ and ‘Parla piu’ piano’ followed by the always popular ‘ Danny Boy’ and there was hardly a dry eye in the house as they teased out all the sadness of the ‘calling pipes’ of Ireland and Danny Boy. This was followed by a special item for Valentine’s Day, in ‘A dedication to love medley’ and then there was a scintillating ‘Spanish selection’ leading to ‘Con te partiro’ (Time to say Goodbye) and, after a beautifully rendered ‘You’ll never walk alone’ and ‘I believe’, the Tenors donned their Akubras to become Aussies for a robust rendition of ‘I still call Australia home’. The final number on the program was ‘Nessun dorma’ from “Turandot” by Puccini and the Tenors had a walk among the audience, greeting and shaking hands and receiving several standing ovations from a very happy crowd, and they were persuaded to sing two encores ‘Torna a Sorrento’ and ‘My way’ to round out the fabulous evening. 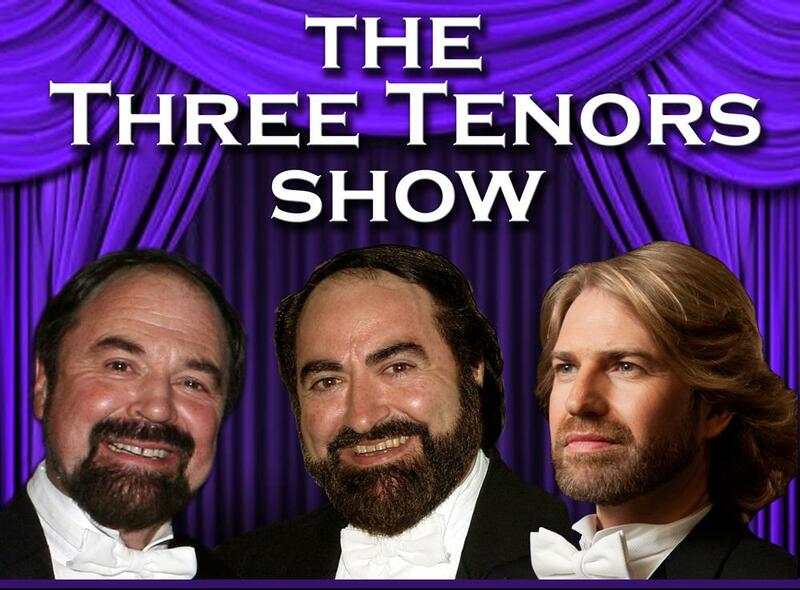 The Three Tenors Show was a wonderful treat for a Yass audience which just loved them and it’s possible they’ll be back with another performance in the not-too-distant future for which they’ll be very welcome. The show will be talked about for years and those who missed it can only regret that they weren’t there. Our next concert is on 16th April with David Pereira on the cello, accompanied by a harp and a string ensemble with the theme of ‘Autumn Colours’ and which promises to be a real delight.